Imagine leaving your apartment one Friday morning to get in some shopping at the mall before your doctor’s appointment at the local hospital. Then, you decide to take a long stroll on your favorite nature trail through the park with plenty of time to pick up the kids from school. Later, with the kids and their friends in tow, you take public transit to the movie theater to celebrate the start of the weekend. After your busy afternoon, you drop off the kids’ friends at their apartments and you head home to tuck your children into bed. Like today’s major cities, super buildings will consist of millions of inhabitants and their own infrastructure with shopping, recreation, medical facilities, theaters, schools and even parks. The major difference is that the entire “vertical city” will be concentrated under one roof within a single massive structure. Super buildings could stretch miles into the sky and consume entire city blocks. They could recycle their own water and generate more energy than they consume. Sound like something straight out of the Jetsons or Interstellar? Maybe. But the truth is that super buildings could be closer to becoming a reality than you think because there are developers and architects among us who believe these enormous structures may be our best option for dealing with the rapid demographic and environmental changes that are affecting our planet. For centuries, building taller buildings has been the answer to growing urban populations, and it may be the answer for generations to come. According to the World Health Organization, the urban population worldwide in 2014 accounted for 54 percent of the total global population, up from 34 percent in 1960. It is estimated that by 2017 even in less developed countries, a majority of people will be living in urban areas and that the urban population will continue to grow 1.84 percent between 2015 and 2020. This means that cities must continue to find ways to satisfy the growing demand for living and working space with less and less available space. Some believe super buildings are the answer. Energy efficiency is another major motivator for constructing super buildings. The International Energy Agency believes today’s buildings are responsible for more than 40 percent of the world’s total primary energy consumption and 24 percent of global carbon dioxide emissions. And the cost of energy continues to rise. Super buildings could offer net zero energy benefits by independently creating their own sources of energy through wind power, photovoltaic façades for solar power and geothermal water for heating and cooling. And then there are environmental concerns. NASA, the world’s leading climate research agency, says all ten of the planet’s warmest years occurred in the past 12 years. As a result of this gradual warming and glacial melting, the global sea level rose almost seven inches in the last century while the rate in the last decade alone has been nearly double that amount. If this trend continues, is it a stretch to imagine humans in the next century working and living indoors in a controlled environment high above sea level? There is no shortage of ambitious and breathtaking renderings that provide a possible window into a future with self-sufficient super buildings that house millions of inhabitants. But many industry experts believe these hypothetical buildings are never meant to be built and are simply marketing tools to raise the visibility and cachet of the firms that envision them. It’s true that no groundbreakings have been scheduled for these buildings of the future but the ambitious vision behind them is quite conceivable. After all, for thousands of years it has been an inherent human instinct and yearning to push our limits beyond what we thought was possible — to reach for the stars and build high into the sky. This supertall structure was designed by American architect Eugene Tsui. It will stretch two miles into the sky and consist of 1.5 billion square feet of interior floor space. 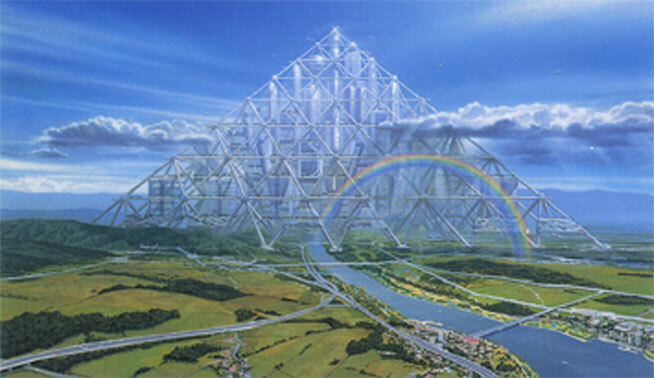 Twelve levels within the structure would be open to the sun and wind, and would be complete with forests, rivers, lakes and hillsides. 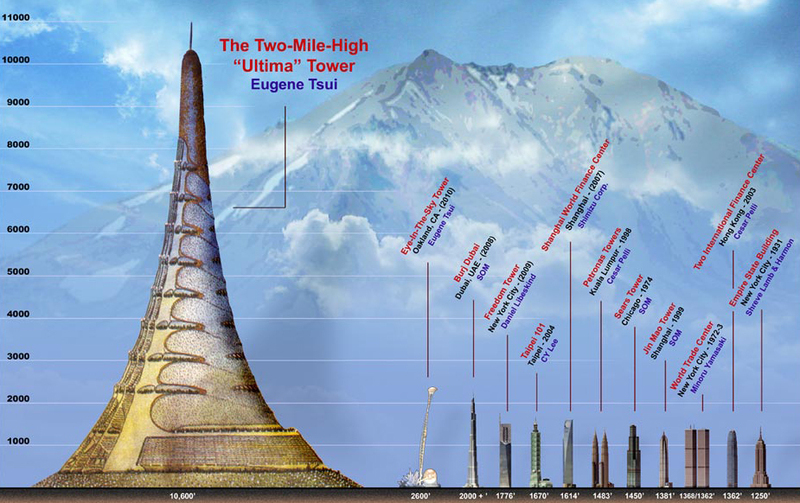 The enormous tower would use the atmospheric pressure difference between the bottom and top of the tower to create electricity throughout the building, making it entirely energy self-sufficient. The estimated construction cost? A cool $150 billion. This 400-story Dubai City Tower would stand 7,900 feet tall, seven times taller than the Empire State Building, and would include a 120-mph vertical bullet train as the main elevator. Inspired by the Eiffel Tower, the basis of the design is the stabilization of the structure — the building’s mass would be spread out to address the massive wind forces pushing against it at higher altitudes. Proposed by Shimizu Corporation for Tokyo Bay, this massive pyramid-like structure would rise 6,560 feet from sea level and would include five stacked trusses. Within the structure and trusses, accelerating walkways, inclined elevators, and a personal rapid transit system with automated pods would provide transportation. The trusses would also be coated with photovoltaic film to convert sunlight into electricity that would power the city. Housing and office space would exist within twenty-four 30-story-high skyscrapers suspended from above and below and attached to the pyramid’s supporting structure with nanotube cables. Conceived by Taisei Corporation for Tokyo, this is the tallest building ever fully envisioned (i.e. 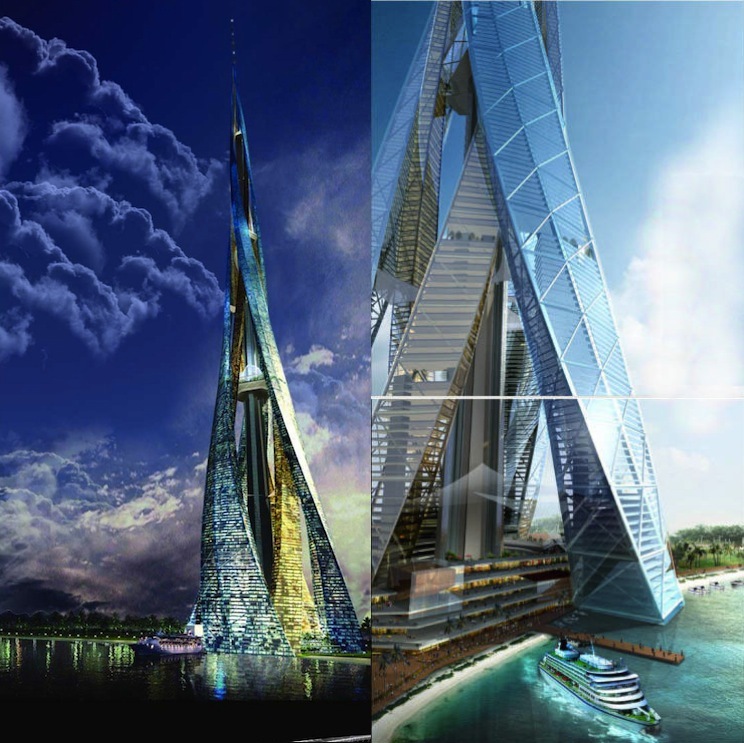 designs for construction have been completed) with a dizzying height of 2.5 miles, a sea base of 3.7 miles and an 800-floor capacity that would accommodate one million inhabitants. The structure would consist of more than three million tons of reinforced steel. Maglev train systems would provide the method of transportation throughout the structure [see our previous blog post about Maglev systems], and its main power source would be solar (not a problem since the structure would tower above the clouds). The “intelligent building” would also maintain light, temperature, and air pressure in response to changing external weather conditions. 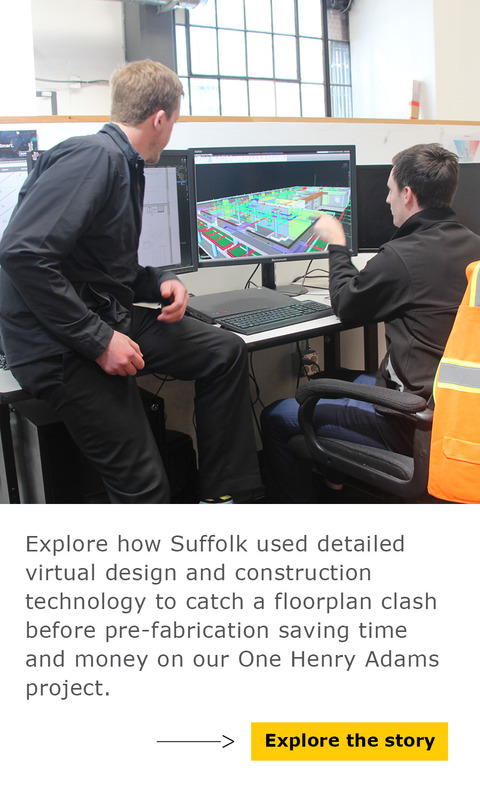 This post was written by Suffolk Construction’s Vice President of Marketing and Communications Dan Antonellis, who can be reached at dantonellis@suffolk.com. Connect with him on LinkedIn here and follow him on Twitter at @DanAntonellis. 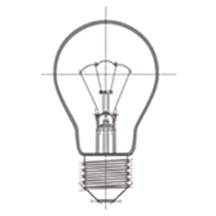 Do you have a cool idea or new innovation you would like us to feature on our blog? Click here to let us know! To find out what's happening on Twitter, in your area, and with Suffolk, sign up for our monthly Smart Trends emails. Enter your email address below!